I wrote about a photojournalist named Heidi Levine the other day. I didn’t actually identify her, but I mentioned how a woman working in Libya was asked by a male colleague why she wasn’t home making dinner for her kids. She came across the post, recognized herself, and contacted me. Yeah, to have that on top. We kept talking, and Levine told me about her recent work and showed me some photos. I chose two to publish here. 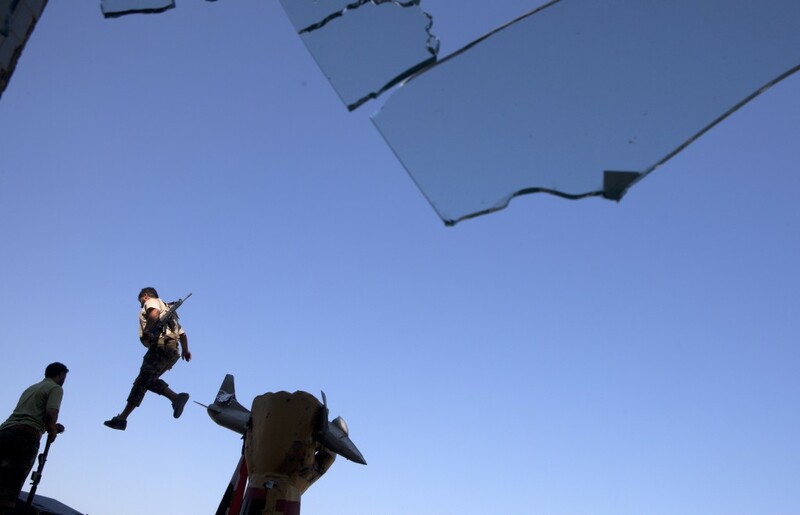 The first shows rebel fighters celebrating at the Bab Al-Aziziya compound in Tripoli on August 23, 2011. I took a closer look at her photos and discovered something grisly and stunning and horrible on the second page. 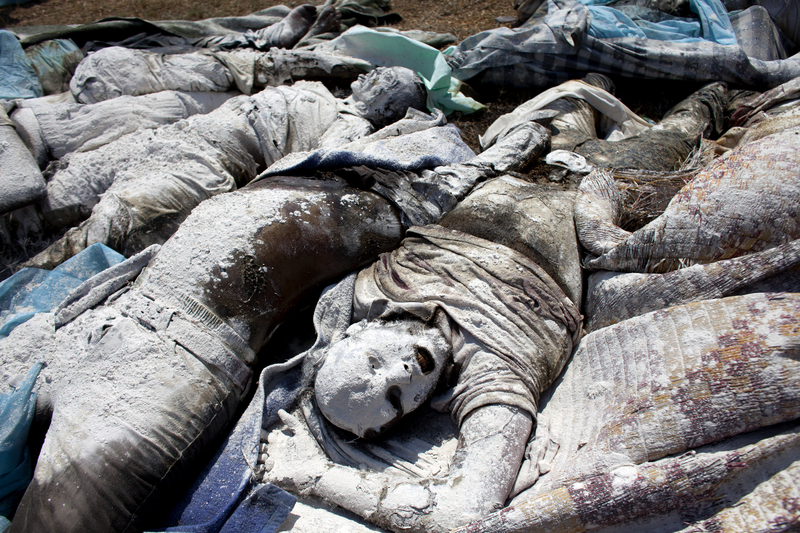 Bodies covered with lime powder at the abandoned Abu-Salem hospital in Tripoli. “I looked too quickly. I’d like to publish that one too,” I said, feeling skittish and unsure. So here it is, below, with a warning that it is very graphic. Please scroll past it for some thoughts from the photographer. But Levine isn’t immune to what she’s documenting. Both photos are copyright Heidi Levine/Sipa Press.